Here at Harlequin Driveways, we use nothing but the best qualified tradesmen to carry out all our projects. We ensure that the customers needs are met from the design stage right through to completion, delivering outstanding results whatever the size of the project. We know that your driveway is the main focus, the leading walkway towards your home, therefore we believe it should be installed to not only enhance your property's features but the overall value of your home. 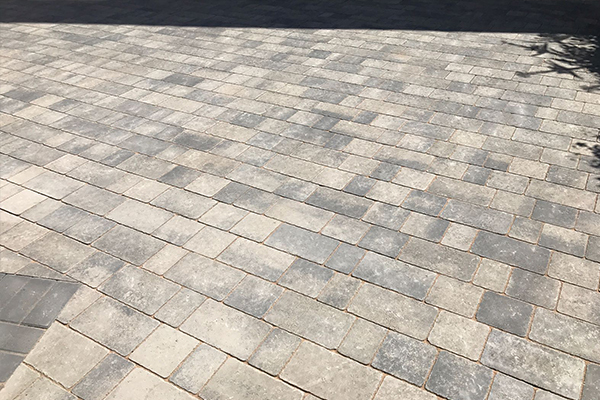 With a variety of different surface options for you to choose from, there is an endless amount of colours, textures and designs to provide you with the best driveway outcome. Based in Abergavenny, we cover all surrounding areas throughout South Wales. We are your local company that offer cost effective solutions, specialising in all forms of driveways and patios, no job is too big or small! Here at Harlequin Driveways we have many years experience within the industry, specialising in Block paved driveways. As your local company in Abergavenny, we offer our services throughout, serving both domestic and commercial customers. 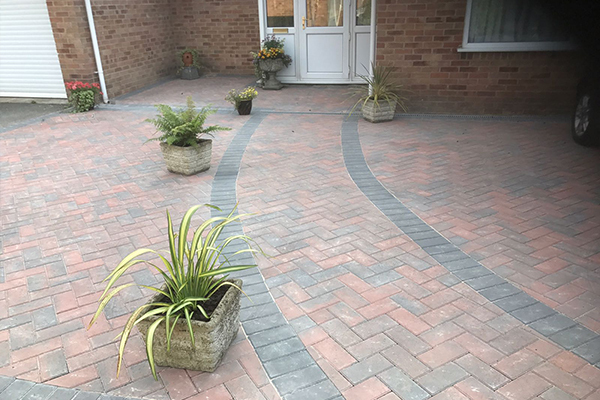 We have a range of styles, colours, patterns and edgings available to give your driveway a unique and personal look, not only complimenting the current style of your home but also improving its value. 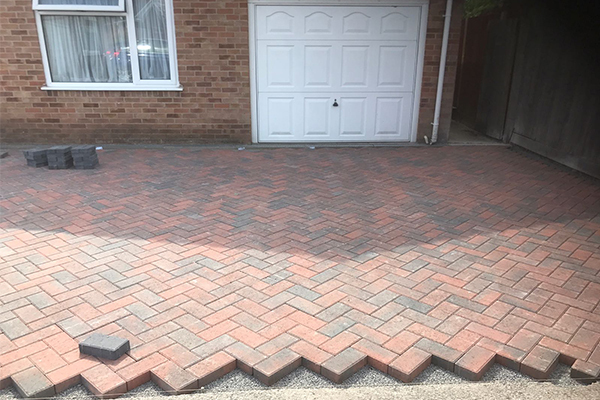 Our team of highly trained workmen combine, skill and expertise to create a stunning new drive or patio, guiding you through every step of the process. Block paving can be styled in an array of ways and can be used not only for driveways but all forms of paving as well as patios. Tarmac is probably the most common and most economical material to use for driveways, it is one of the most popular finishes for driveways today due to its longevity, flexibility and durability. 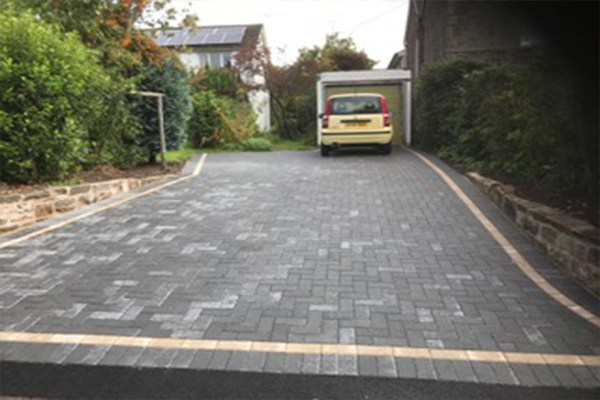 Here at Harlequin Driveways we have many years combined experience to provide a tailored tarmac driveway, whether you require a standard black tarmac or a more unique red tarmac, with a wide range of bespoke features such as entrance patterns your new drive will be brought back to life. Gravel is another popular choice to make your driveway stand out making it both attractive and functional. Used for both driveways and in hard landscaping projects they are cheap, low maintenance and is also aesthetically pleasing. With a variety of colours, choice of size and texture it is a good choice for resurfacing. Harlequin Driveways can also provide a bespoke imprinted concrete drive or patio. As it is becoming the preferred choice of surfacing because alternative driveways can deteriorate over time, an imprinted concrete drive can be designed to compliment your garden or driveway stamped to match the style of your house. This particular surface is concrete is versatile so can be moulded into any shape you require. For further information on any of the services that we have to offer please contact us today by phone or email and we will be happy to help. We offer free no-obligation quotations along with professional advice. We will happily provide you with all the time and advice you need, offering our services to both domestic and commercial customers around Abergavenny, covering all of Newport and surrounding areas.